I am so excited to be offering this special workshop at Chill Meditation + Massage to launch a more collaborative understanding and harness the potential transformative elements available when Venus retrogrades for her 40 day cycle diving into the dark to retrieve her light. I have found these cycles to be very significant in my life and offer a way for women to experience and expand the limits of our inner feminine nature via the sign that Venus travels through when she takes us into the mythic journey. 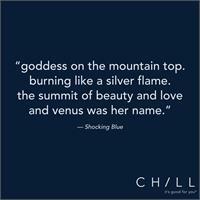 As she will be retrograding in the sign Scorpio, this cycle is sure to be deep, challenging, sensual and intense! Please join us for a very special circle to explore the basics of the cycle via a brief overview, some experiential exercises and a guided journey. This workshop is for women (or those who identify as female ) only. The new moon will be in the sign Virgo which carries a rich deep vibrational invitation from a goddess archetype perspective that Virgo the Virgin is whole unto one's self. We will create a sacred circle to honor and align with that powerful essence wisdom as the moon begins a new cycle magnified by a powerful solar eclipse and the beginning of a Mercury retro cycle. Let's start the Fall off with renewed devotion to ourselves, our calling and our collective sisterhood! Celebrate The Heart of the Summer with your sisterhood in Chicago! This is a special invitation to join us for a day of deep saturation with the sweetness of the Summer season to align with the power, medicine and teachings of the Sun. Learn more about this one-day event and register now! Where: Montrose Harbor along the lakefront in Chicago. Look for sun icon on map below. Our ceremony will begin at 9:00 am with a procession of powerful healing drums from Southern Chile. The voice of these Kultruns* is used to summon the universal heartbeat of the Great Mother and invite this rhythm to our ceremony for strength and restoration. 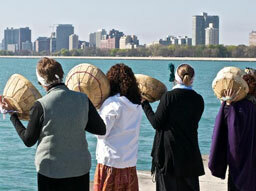 We will pray for the visions we hold in support of all living beings and send that intention into Lake Michigan and out into the Four Directions. We will complete the celebration with simple chants for universal harmony and songs offered as one unified voice in support of global unity, tolerance and peace. * In honoring the lineage voice of the Chilean Kultrun drums we ask that you do not bring your own drums to this event. Please bring a flower and a rattle (if you have one); your desire to share the Mother Love with our planetary family should be present in your heart as well. It is our great pleasure to invite the beautiful women of the Everyday Medicine Woman community to share this day with those they love — partners, kids, family members, friends and animal companions. Plan on arriving early to find the location. 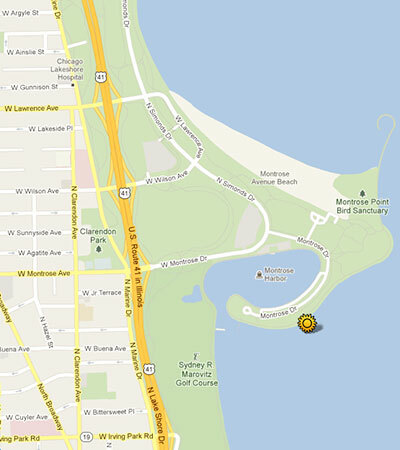 Please have a look at the map below for our exact location. Weather permitting we will gather at the SHINE location, indicated by the sun below. Please note that in the event of rain we will NOT be gathering due to the rain's impact on the drums. Stay tuned to our Facebook event page for updates! If you are interested in volunteering to assist Susan at 8:30am, please click here to email. In these uncertain times, it is by gathering in the spirit of hope, peace and love that we can surround ourselves with the positive energy we are offering, creating a circle of powerful remembrance. Please join us! 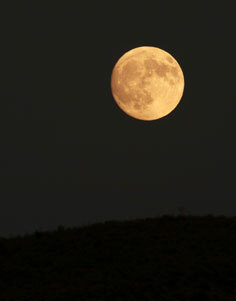 LEVEL ONE CLASS: "Learning to Read Your Akashic Records"
LEVEL TWO CLASS: "Learning to Read the Akashic Records of Others"
Come bask in the light of the full moon and love from your sacred sisterhood as we gather on the evening of August 10, 2014, for release, restoration and inspired mirroring of our beautiful souls. Our theme for this gathering will harmonize with the Aquarian super moon in the sun sign of Leo: strengthening authentic, heartfelt self-confidence and rededication to our personal calling. 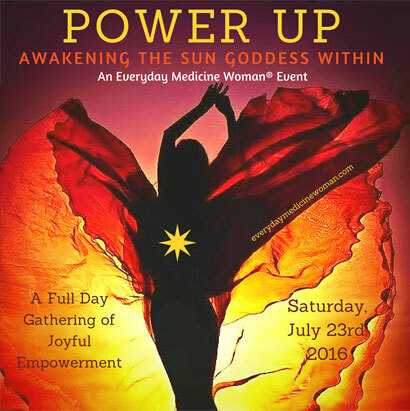 This medicine circle is open to any woman who has participated in events, circles, retreats, Thirteen Moons or other activities with Susan A. Lipshutz and our Everyday Medicine Woman community. As we all know, just about every woman is feeling over-worked and under-nourished. Time is at a premium and it is becoming increasingly difficult to make on-going commitments to multiple programs or events; especially those that our heart is yearning to explore. Yet we need moments to remember our profoundly beautiful essence and be fed the spiritual elixir of our tribe and the divine feminine guidance that flows once we are awakened to our own divine nature. We hope that this circle will serve to support that intention and be meaningful no matter where you are on your path and process. We have found that whoever shows up to the call always weaves a solid container for our mutual healing and growth. This medicine circle will include our usual elements of sacred practices including a talking circle, journey, ritual and prayer in support of our individual and collective work. Please bring a medicine piece (stone or crystal) to create our community altar for the evening, a stone to work with for our journey and a rattle if you have one. There will be yoga mats available. Please bring something to sit on the floor if you prefer and water in a spill-resistant bottle only. *Please be prompt as there are other events at the same venue. Important: Please enter the building at the Webster Street door, not the one on Elston. Ample free street parking is available. My heart is bursting with excitement to offer this circle as a means to support each woman's remembrance of her beauty, grace and powerful gifts. 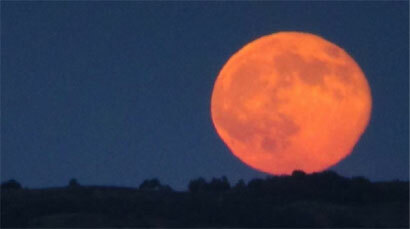 We have grown into a super circle of amazing goddesses just like the super full moon. May we enter into the magic, mystery and deep wonder of this evening, creating a space that allows for not only our personal reconnection and reunion, but also for the collective feminine voice, heart and empowered wisdom throughout our beloved planet. Where: Montrose Harbor along the lakefront in Chicago. Our ceremony will begin at 9:00 am with a procession of powerful healing drums from Southern Chile. The voice of these Kultruns is used to summon the universal heartbeat of the Great Mother and invite this rhythm to our ceremony for strength and restoration. We will pray for the visions we hold in support of all living beings and send that intention into Lake Michigan and out into the Four Directions. We will complete the celebration with simple chants for universal harmony and songs offered as one unified voice in support of global unity, tolerance and peace. Please bring a flower, and a rattle if you have one - in honoring the lineage voice of the Chilean Kultrun drums we ask that you do not bring your own drums to this event; your desire to share the Mother Love with our planetary family should be present in your heart as well. 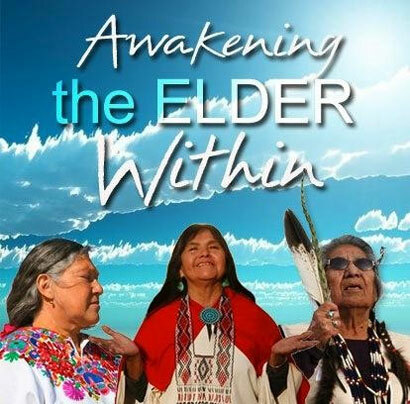 Join us for a historic series of events with esteemed elders Grandmother Flordemayo (Maya), Grandmother Mona Polacca (Havasupai/Hopi), and Grandmother Rita Long-Visitor Holy Dance (Oglala Lakota), members of the International Council of Thirteen Indigenous Grandmothers. Four sessions throughout the weekend will give participants the rare opportunity to be with these authentic precious teachers who are building healing bridges throughout the world with their message of love and light. 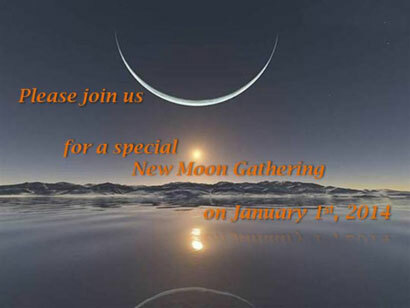 Please join us on 1/1/14 at 1:00 pm, when we will meet ourselves at the doorway of this amazing year that begins with the most exalted energy of a new moon in support of a huge year of growth in the new soil of a new era. Together we will align with the energies of this powerful day as means to set intentions, clear resistance and enhance a strong, optimistic viewpoint that will support the manifestation of what we know is in our hearts on behalf of our truest authentic self and for the healing and restoration of our beloved planet and humanity. What You Will Need: Please bring a journal as well as two stones, rocks or crystals for the ceremony - one to anchor your intentions and on to give to the community. We suggest that you dress in layers for your own comfort and bring a mat or back jack if you wish to sit on the floor - chairs are available. If you are staying for the Water ceremony, please also bring a small cup or container with a top, as well as a small candle or tea light. For questions regarding the ceremony, please click here to email. 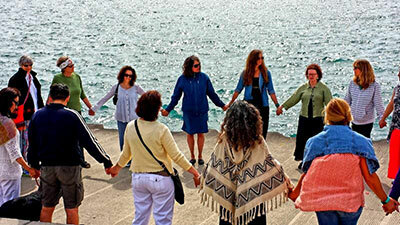 *Note: There will be a special prayer circle for the Global Waters for those who wish to remain from 3:35 pm - 3:55 pm. 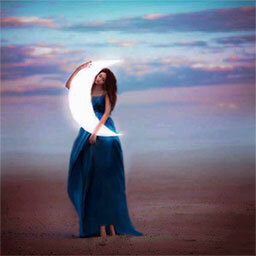 ''A new moon teaches gradualness and deliberation and how one gives birth to oneself slowly. Patience with small details makes perfect a large work, like the universe." Celebrate the gift of life by offering a wave of love and gratitude to the Mother Presence. Shine location: The lakefront at Montrose Harbor facing downtown. Look for sun icon on map below. Rain location: Montrose Harbor Beach House. 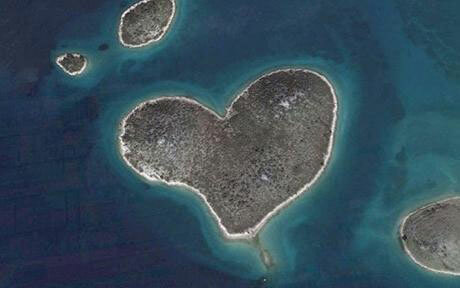 Look for heart icon on map below. Our ceremony will begin at 9:00 am with a procession of powerful healing drums from Southern Chile. The voice of these Kultruns is used to summon the universal heartbeat of the Great Mother and invite this rhythm to our ceremony for strength and restoration. We will pray for the visions we hold in support of all living beings and send that intention into Lake Michigan and out into the Four Directions. We will complete the celebration with simple chants for universal harmony and songs offered as one unified voice in support of global unity, tolerance and peace. Please bring a flower, and a rattle if you have one. Your desire to share the Mother Love with our planetary family should be present in your heart as well. Stay tuned to our Facebook page for event updates! If you are interested in volunteering, please click here to email. Introduction to the popular seminar series and overview of the feminine life cycle. Susan Lipshutz of Everyday Medicine Woman will be a featured Chicago exhibitor at this day-long event featuring change-makers making a positive difference in their local communities. Listen throughout the day as presenters share their story of their “tipping point,” when and how they decided to take the first steps in creating change, and inspire and motivate others to do the same. Learn more about Chicago's exciting movements while you listen to presentations from guest speakers like John Edel of The Plant, Sarah Elizabeth Ippel from Academy for Global Citizenship and Sonia Choquette and Six Sensory Wisdom. Be inspired to join the movement as you connect with like-minded networks, and gather tools and resources to help you create change within your own local and global community. Enjoy a day of exhibits, inspiring presentations, music, meditation and an organic vegetarian lunch. 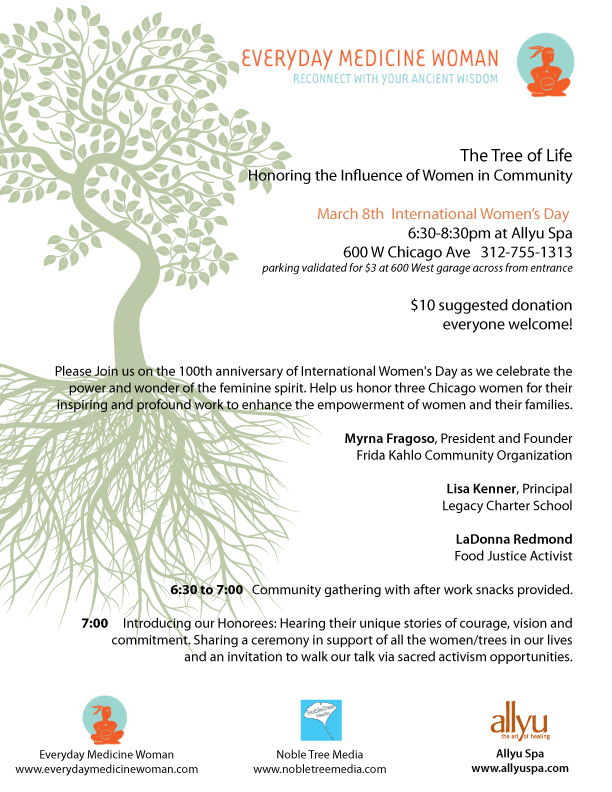 We're excited to bring you a series of events during a visit to Chicago by Grandmother Flordemayo, universal healer and member of the International Council of Thirteen Indigenous Grandmothers. Join us for a workshop, a teaching circle and a screening of the film For the Next 7 Generations directed by Carole Hart with a Q&A session. Born the youngest of 15 children in the highlands of Central America, Flordemayo was found at an early age — like others in her family — to have the gift of Sight. By age four, she was being trained in the art of curanderismo which had been handed down from mother to daughter for many generations. Flordemayo's mother was a midwife and healer and taught her daughters in the use of herbs, women's medicine and how women are to honor and care for the Earth. Flordemayo now lives in New Mexico. She is a frequent presenter at international conferences. 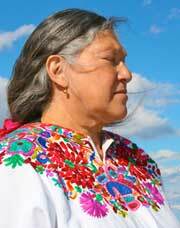 Since 1999, she has been part of the Wisdom of the Grandmothers' Foundation. She is the recipient of the Martin de La Cruz Award for Alternative Healing, a prestigious honor given by the International Congress of Traditional Medicine. Flordemayo is also a founding director of the Institute for Natural and Traditional Knowledge. This organization has many active projects, including the establishment of an organic seed bank and educational outreach in support of traditional agriculture. "Humanity is at a crossroads, we can only go one way, as one can't go in two directions at the same time. We do not know what we need to do as a human species, there is only one place to go and that is into the light, as one tribe." Venus Transit 2012: An evening of mystical wonder as our sister planet Venus transited across the sun in a rare and historic astrological event that happens only once every 121 years. 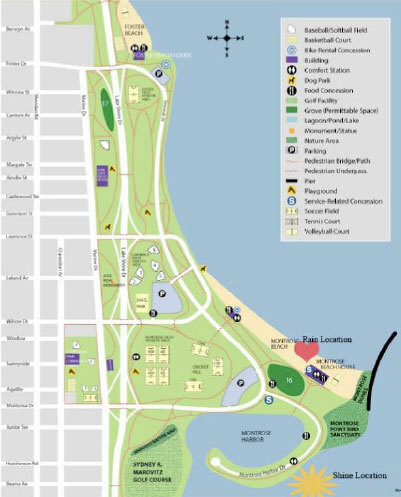 Celebrate the gift of life by offering a wave of love and gratitude to the Mother Presence along the lakefront in Chicago.